Cindy Kane's Wing to Wing at the Martha’s Vineyard Playhouse Art Space until Sept. 6. Artist Cindy Kane exhibits a series of paintings titled Wing to Wing at the Martha’s Vineyard Playhouse Art Space beginning Saturday, August 23, with an opening reception at 4:30 p.m. The exhibit will run through Sept. 6. 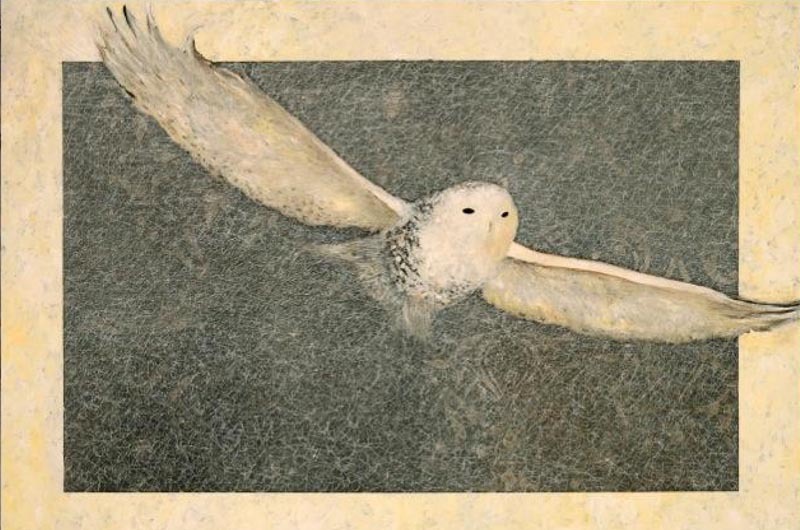 The subject for Ms. Kane’s inspiration was a sighting of last winter’s snowy owl. Her work can also be seen at the Granary Galley in West Tisbury and at A Gallery in Oak Bluffs. Ms. Kane’s Helmet Project will be installed at the Flatiron Prow Art Space in New York city this fall.